Do you need a better control over your Dog? Choose this Braid Decorated Leather Canine Leash for Dog breed. 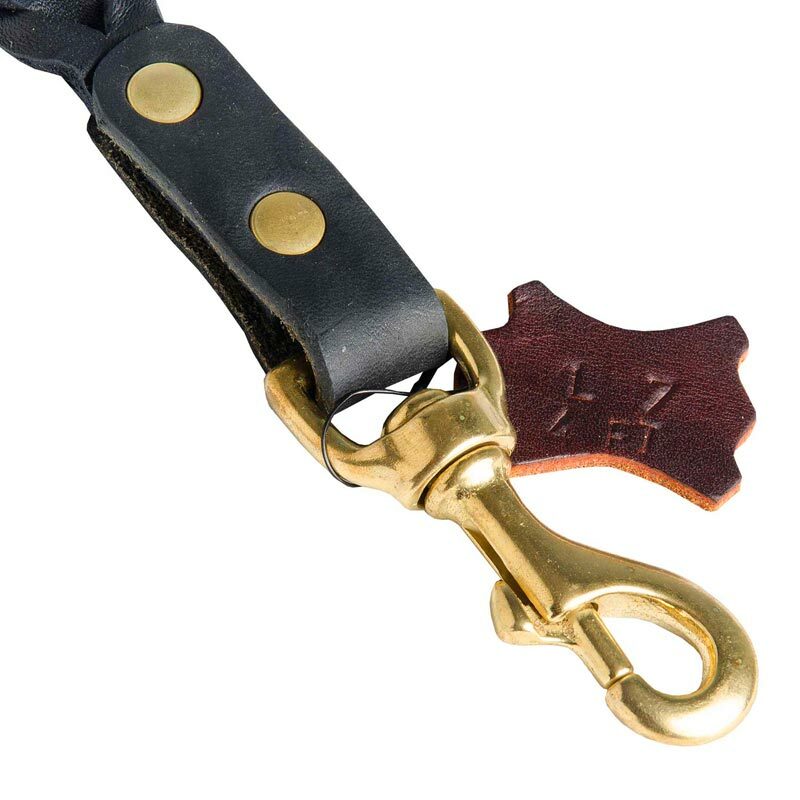 Manufactured of the best sort of leather the leash will serve you and your dog for many years. It will easily withstand heavy training loads and its gorgeous look and fine quality will remain to the future dog generations. The leash provides maximum comfort and reliability for the handler. 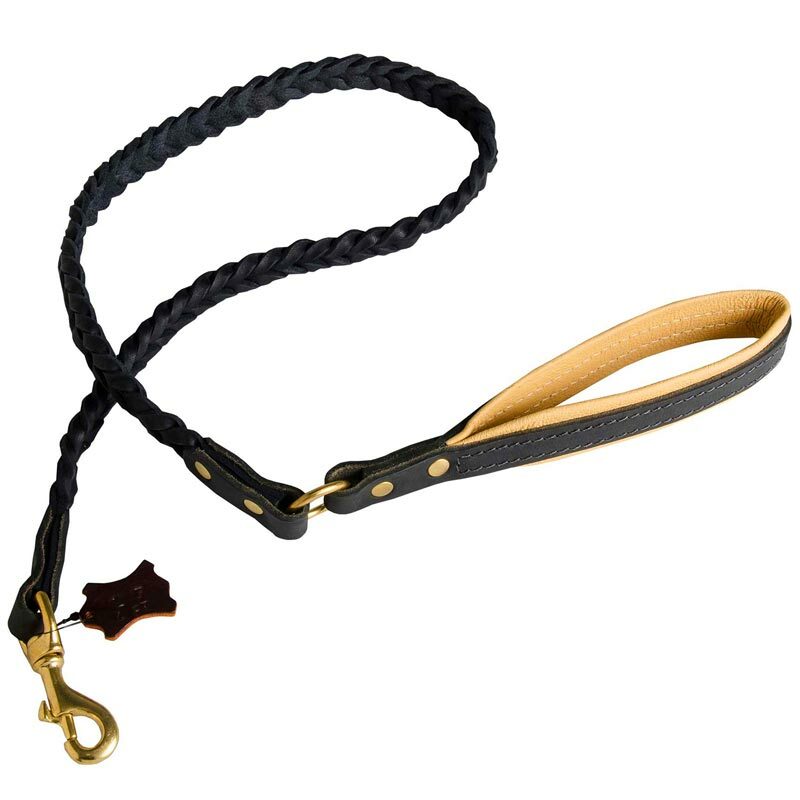 The handle of this canine leash is lined with the softest ever material - Nappa leather. It fully protects the palm from rubbing, irritation and causes no allergy. The padding is securely double stitched to the handle with premium quality nylon threads that won’t pull out and prevent the padding from tearing off. Convenient shape of the handle and its absolute comfort provide excellent grab for the handler and allow to control Dog at 100%. The snap hook (as well as all fittings are) is manufactured of brass. The material is strong, dependable and rust and corrosion resistant. The snap hook will easily pass the test “in the fields”. Securely locked, it will give you full control over your Dog as it won’t unclip by itself under strong dog’s force. 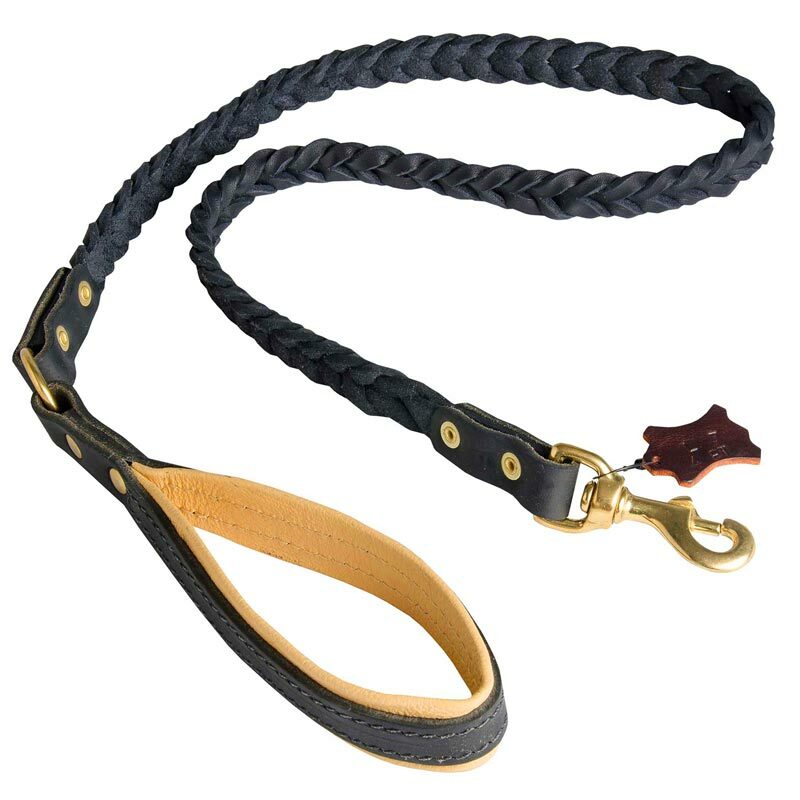 This leash is undoubtedly one of the best dog leads in our webstore and on the world market. It harmoniously combined beautiful decorative look, functionality, above-competitive quality, convenient and simple use, as well as high reliability. Thus, the leash will be an excellent tool for daily outdoor activity, training or dog shows. Whatever your choose, your canine will be always matchless and unique. Buy this Braided Leather Canine Leash now and control your Bully in a safe way.